Chicken is a staple in my house. I personally eat chicken 4-5 times a week for dinner. I just love chicken. 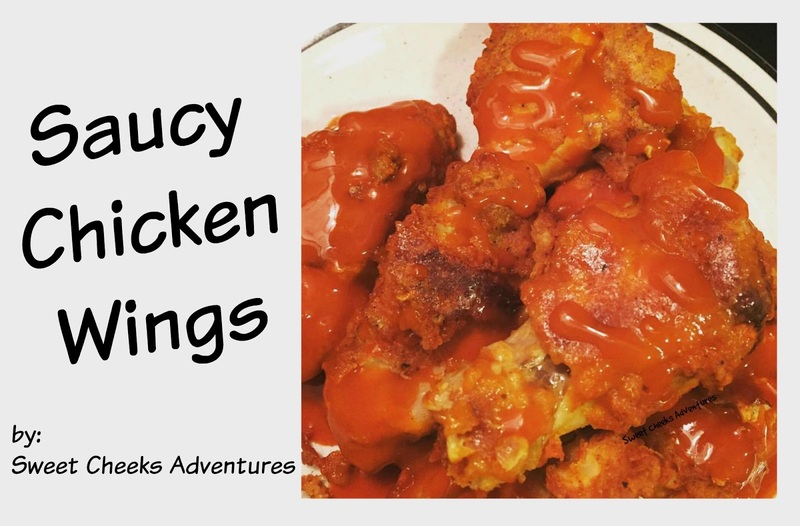 A favorite is chicken wings. They're saucy! They're delicious! They're perfect size to fit in your hand! While the husband is not a fan of chicken on the bone, that is just fine.... More for me that way! 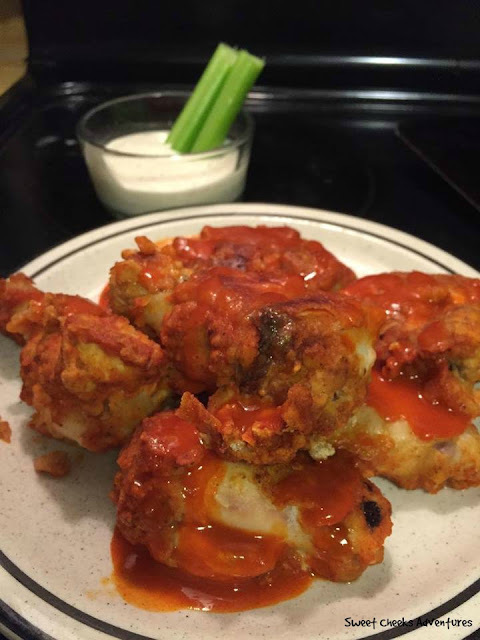 With so many reason to make some delicious chicken wings, let the big game be one of them. Now, when I say big game, I'm good with the Super Bowl, Saturday morning college football, or the bowling championships. Whatever have you... just make these wings! Preheat your oven to 400 degrees F. Mix your dry ingredients. Dip your chicken in your melted butter. Cover the chicken in your dry mixture. Place on baking sheet and bake for 25 minutes. Flip your chicken over and cook for 10 more minutes or until all pink is gone. At time of flipping you can put your wing sauce on your chicken and let it bake in a bit. 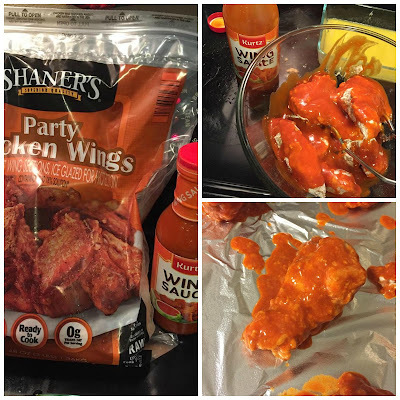 I LOVE saucy wings, so I put a little extra sauce on when I pull them out of the oven. Sauce and Done! So delicious! These wing pair great with Ranch or Blue Cheese dressing. Don't forget the celery! Denver Broncos are going to the Super Bowl!!! These would be good that day.